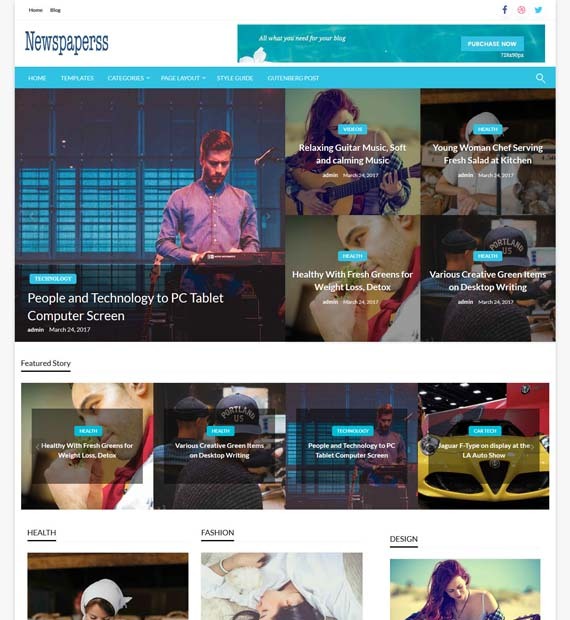 Newspaperss is a free WordPress theme that is perfect for magazines, personal blogs, news sites, or other kinds of content publishers. Designed with mobile devices in mind, this theme is fully responsive on all devices. Other awesome features include WooCommerce compatibility, over 600 Google Fonts, FontAwesome icon library, as well as custom widgets. This theme also allows you to change the looks of your site by customizing the colors and choosing between boxed and wide layouts.